The great news is that the female has a chick! At 2pm today Sue, one of our many out-of-county observers, reported an eggshell and she confirmed this at 1715. 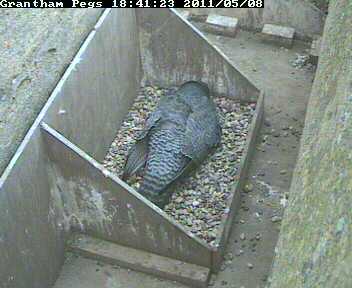 Derek from our peregrine team also saw the chick when the adult moved. Well spotted you two and thanks for reporting it so swiftly.